Éilís Crean celebrates the music of fiddle player and button accordionist Eddie Kelly on her new album, Searbh Siúcra (Bitter-Sweet). Via Trad Connect: Humanity has revered creativity throughout time, from the ancient Greeks to modern-day painters, poets, writers and musicians. It’s one of those ineffable wonders that is extremely hard to define but you absolutely know it when you see it. Or hear it in this case. Eddie Kelly was born in 1933 near Eyrecourt, Co. Galway and is a preeminent fiddle player and button accordionist of the East Galway Irish Music Tradition (EGIMT) style. He was also a gifted composer, and all twenty-one of his compositions are now available in a new album called Searbh Siúcra (Bitter-Sweet). The imagination, inspiration and creativity of these tunes is unequaled and they rang from slow airs, to jigs and reels and something in between. 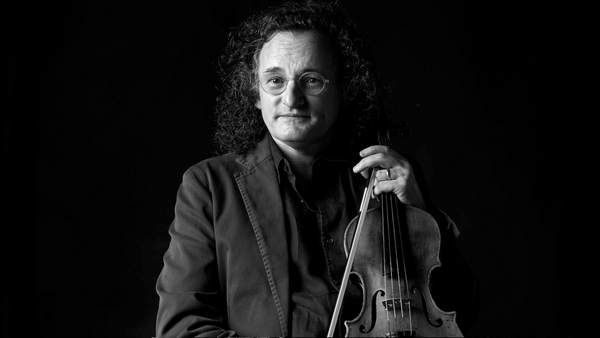 The album was recorded and produced by Éilís Crean who was born in Ballintubber, Co. Roscommon and now lives in Franklin, Tennessee, USA. Crean grew up learning from Kelly, and through her own music promotes the East Galway Irish Music Tradition and the music of Eddie Kelly. "Searbh Siúcra is an Irish-Gaelic term that is sometimes used to define polarity," says Crean, "and the idea that opposites attract. Another interpretation of Searbh Siúcra is 'bitter-sweet'." "Both of these concepts perfectly describe the evolution of this album," she continues, "because even though the music and most of the musicians come from Ireland, two outstanding musicians from Nashville - namely John Mock and Jeff Taylor - brought their love of Ireland and Irish music to this album. They brought respect for an old Irish music tradition and Eddie Kelly in the form of sensitivity and delicacy, and they added a touch of the new to the music, in a way that magnified its authenticity and potency." And to capture the old sound of the East Galway Irish music tradition itself, she is joined by luminaries such as John Doyle, Mike McGoldrick, Kevin Burke and John Regan. "Each of these musicians brought tenderness and understanding to what I believe was Eddie’s vision for the tunes. They worked graciously and patiently to interpret and master the tunes and add a little bit of their own magnetism. I am deeply grateful to all the musicians who helped me with this album" explains Crean. It was a bitter-sweet journey for many reasons, the main one being that Eddie, my childhood teacher began to suffer a decline in his health after he wrote these tunes, so to my knowledge he never got to play them." Crean herself grew up in a house where traditional Irish music was cultivated, cherished and appreciated. 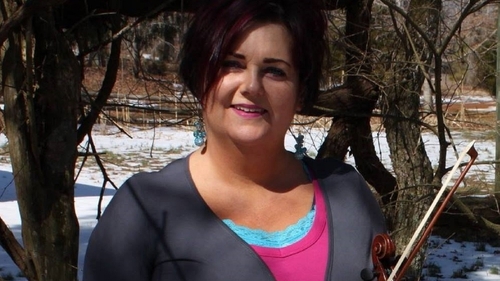 Her childhood years saw many hours with Eddie, teasing through the artful arrangement of his notes during the weekly lessons and she is now, one of only six fiddle players world-wide that plays the East Galway Irish Music Tradition. Through the years, Éilís has competed and won prizes and accolades at various competitions and events throughout Ireland, Great Britain and the USA. In 2014 she released her debut album The Lonesome Fiddler, which was the first album of its kind to showcase the East Galway Irish Music Tradition, as interpreted by Eddie Kelly. Crean continues to perform with John Mock, sharing the music of Eddie Kelly with the world. Searbh Siúcra is out now - go here for more info. For all the latest traditional music news and tunes visit www.tradconnect.com.